State Police round up dozens of people across Rhode Island, charging them with fraud in obtaining $469,000 in public benefits that they were ineligible to receive, because they were already the subjects of outstanding arrest warrants. Police made 62 arrests, and said 26 others were still being sought as of Thursday morning. All had underlying arrest warrants on criminal charges ranging from shoplifting and narcotics violations to robbery and attempted murder. 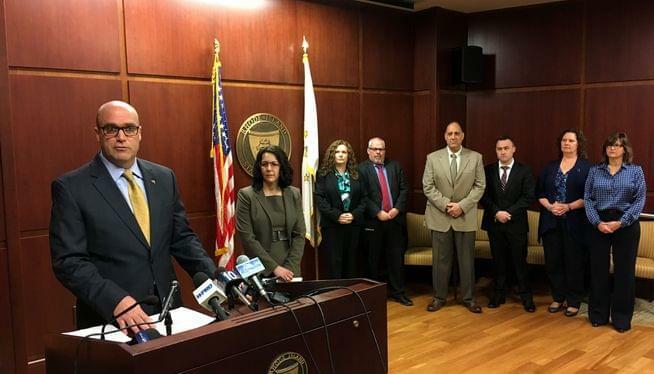 The Chief of the state’s Office of Internal Audit, Dorothy Pascale said despite these arrests, which come on the heels of several dozen others over the last year, benefits fraud is not widespread in Rhode Island. Pascale said the state is soliciting tips on suspect fraud through a telephone hotline: 401-574-8175, and a website: www.audits.ri.gov . She said calls can remain anonymous. There are no rewards offered for fraud cases.